Pre-season testing pointed to Ferrari having the upper hand but Mercedes proved consistently faster throughout the weekend as Lewis Hamilton dominated the free practice sessions and qualifying while his flying Finnish team-mate Valtteri Bottas got off to a stunning start by winning Sunday's race by almost 21 seconds from the Briton. Ferrari blamed balance issues around the bumpy track and they clearly have work to do before the next race in Bahrain, with Sebastian Vettel finishing a distant fourth, 57.1 seconds behind Bottas. His partner Charles Leclerc was fifth. "This weekend is not the real potential of our car," insisted Ferrari chief Mattia Binotto. Red Bull proved they have enough power in their new Honda engines to be a genuine contender this year, with the aggressive Max Verstappen charging to third and overtaking Vettel along the way. 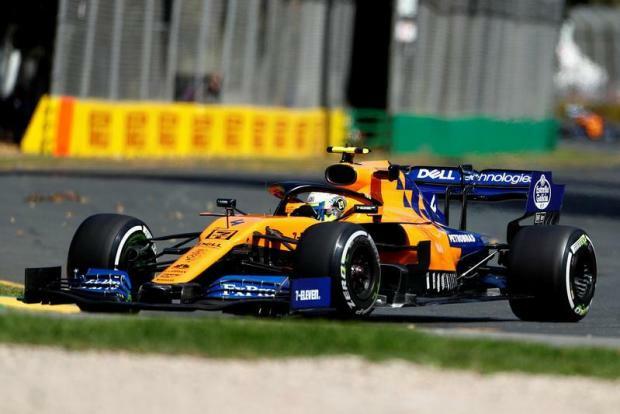 "The car was working really well and we also look strong on the straights which is hopefully a good sign for the rest of the season," said the Dutchman. His new team-mate Pierre Gasly suffered in qualifying from a team strategy error and didn't get further than the first session. The Frenchman started 17th on the grid but reaffirmed his potential by weaving through the field to finish 11th. Daniel Ricciardo's off-season move from Red Bull to Renault raised more than a few eyebrows and his 2019 campaign with his new team couldn't have got off to a worse start. "Nico showed in the race that the car belongs in the top eight and we'll be aiming for a smoother weekend in Bahrain and a strong result," said Ricciardo. "It's cool to finish my first race and get it out of the way," he said. Of the other newcomers, Toro Rosso's Alexander Albon placed 14th, Antonio Giovinazzi was 15th in his Alfa Romeo and Williams' George Russell came home 16th. Williams appear to have made little progress from last year when they propped up the constructors' championship. Russell said afterwards that Williams had found a "fundamental" fault with the car, which when resolved would see "a big leap". He didn't say what the fault was, or when it would be fixed.